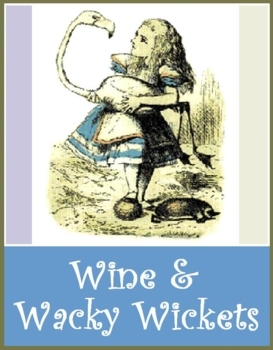 The Arc in Jefferson County, in cooperation with The Arc of Arapahoe Douglas and Arc of Denver, is hosting the 2nd annual Wine and Wacky Wickets event at the Manor House at Ken Caryl on Sunday, Sept. 9 from 2 to 5 p.m. Individual admission is $40, Couple $75. To purchase tickets online, go to www.blacktie-colorado.com/rsvp and enter code: WackyWickets. Call The Arc in Jefferson County at (303)232-1338 and ask for details. Don't forget your "through the looking glass" ensemble. This is one of the most beautiful historic venues in all of Jefferson County.